ALMATY -- The recent failure of the Russian Soyuz MS-10 launch vehicle at the Baikonur Cosmodrome in Kazakhstan on October 11 is the latest incident to alarm local environmentalists. Caught on video, the Soyuz can be seen suffering from an apparent malfunction as it attempted to reach the International Space Station. "Shortly after launch, there was an anomaly with the booster and the launch ascent was aborted, resulting in a ballistic landing of the spacecraft," NASA reported, noting that the two crew members aboard survived. The astronauts touched down 25km from the city of Jezkazgan in the Karaganda Province, according to news portal Tengrinews.kz. 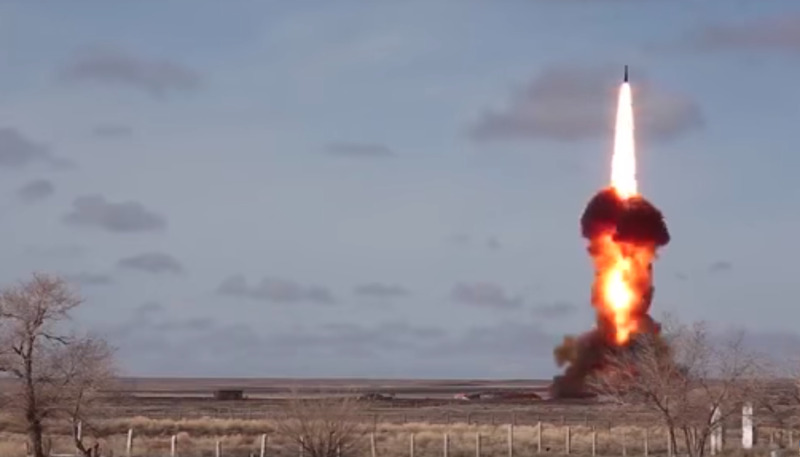 The failed launch is among Russia's recent environmentally disastrous activities in Central Asia, which include regular military training and weapons testing carried out near Lake Issyk-Kul in Kyrgyzstan and elsewhere. 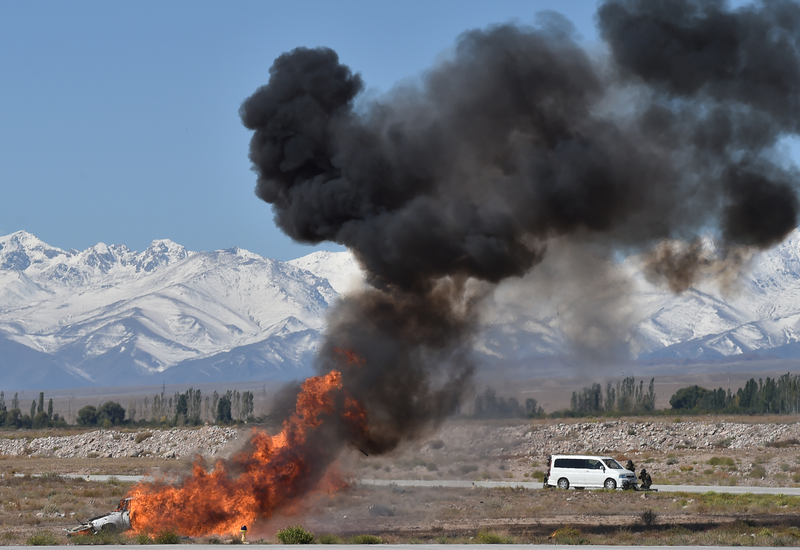 Kazakh environmentalists and citizen activists are raising concerns that the Soyuz MS-10 mishap has caused environmental damage. The main issue is the fuel used in rocket launches. In addition to kerosene, Soyuz launch vehicles use fuel with a secret chemical composition, Ulan Shamshet, founder of the Almaty-based Antigeptil environmental movement, told Caravanserai. His concern is that the secrecy of this information is related to the fuel's high potential risk of danger to the environment. Shamshet recalled that in July 2013 a Russian Proton-M launch vehicle crashed in Kazakhstan with three Glosnass-M satellites on board. In that case, the rocket diverged from the planned trajectory after taking off, broke apart in the air and fell to the ground not far from the cosmodrome, he said. The explosion was extremely powerful, since the device was loaded with roughly 600 tons of fuel, including heptyl. According to official information "the rocket debris was found in Russia, but in reality Russian specialists found it in Kazakhstan and carried it away into their own country", he told Caravanserai. "The Saiga antelope inhabiting the Kazakh steppe died following the Proton crash," Shamshet said. "Now, after the recent Soyuz accident, we expect another environmental disaster." The environmental damage from the Proton crash five years ago was estimated to cost more than 13 billion KZT (more than $85 million at the time), according to Kazakhstan's Ministry of the Environment and Water Resources. 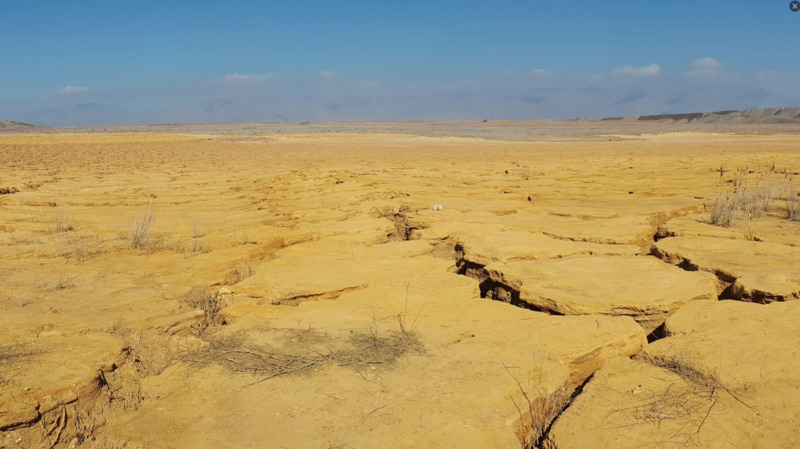 Russia has not compensated Kazakhstan for the environmental damages. Kazakhstan must protect its interests and adopt a radical solution to the problem, Shamshet said. "We are speaking out for Russia to leave Baikonur," he said. "Russia has fallen behind in aerospace technologies... by severing ties with Moscow in this area, we could more effectively cultivate joint space programmes with the United States and Japan." The regular rocket launches at the Baikonur Cosmodrome by Roscosmos, the Russian state corporation that manages the space industry, have been the subject of public debate for many years. Local environmentalists are especially outraged by the fact that Russia uses heptyl, a Class-1 hazardous substance, as fuel for its rockets, whereas its use for such purposes is prohibited in western countries. Villagers living near Baikonur have long complained about an unpleasant odour and illness when vehicles transport heptyl in the area, TengriNews reported in 2016. Not only does Roscosmos spew dozens of tons of heptyl into the atmosphere each month by launching the Proton launch vehicle, but it also buries toxic waste in areas that are closed to Kazakhstan's environmental services, said Marat Dauletbayev, chairman of Baikonur Eco Monitoring. "As a result, the number of cancers and deaths is rising, including among children and infants," he told Caravanserai. "Many children are born with physical disabilities. But information about this is covered up." Roscosmos does not acknowledge the harm caused to the region and its residents, he said. "The lease agreement for the Baikonur complex expires in 2050, when serious illness among the local population will peak, and by that time Roscosmos will wind up its activities here, leaving Kazakhstan a huge toxic dump on the scale comparable to the Semipalatinsk Test Site," he said, referring to the Soviet Union's primary testing venue for nuclear weapons, located in northeast Kazakhstan. Dauletbayev called on Kazakh citizens to sign a petition addressed to Kazakh President Nursultan Nazarbayev and Russian President Vladimir Putin to declare the Baikonur Cosmodrome an environmental disaster zone. Right after Russia decided to stop taking American astronauts into the outer space, Washington had begun screaming that Kazakhstan should get Russia [the space program] out of its territory. But one must remember that the launches do not benefit Russia alone. Kazakhstan won't do what the West is asking [from the government]. Kazakhstanis are wondering why their country has to bear all the environment costs of Kremlin projects that benefit only Russia.